The city government of General Santos has donated over P1.5-million worth of gears to the Philippine National Police-Special Weapons and Tactics team (PNP-SWAT) in the city. 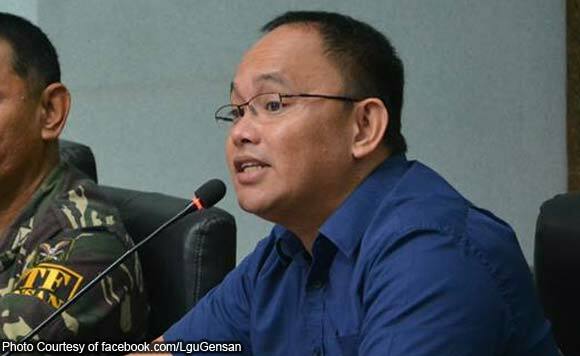 City Administrator Arnel Zapatos, who recently led the turnover of the gears, said the local government started to purchase the arms for the SWAT team last year. The donation includes 12 sets of SWAT gears consisting of kevlar helmet, vest, pads for elbow and knees, earplugs, and eye wear. Earlier, the city government also donated to the local police 17 tavor rifles. Zapatos said that after the election ban, the city government will also provide 10 colt rifles to the PNP. “We will be donating 10 colt rifles 556 16 inches. The intent of granting this equipment was initiated during the time of the previous city directors that came in before CD (City Director Sr. Supt. Raul) Supiter assumed the office. And the plan was to give five rifles per station,” he said. “We are starting with 10 so there will be two stations recipient of the two rifles. In the initial planning in the last two years, these will be given to the two outskirt police stations,” Zapatos added.